You may call it food snobbery but it's almost instinctive for me to try to replicate and improve something that I tasted and fails to satisfy my taste buds after I've craved and fantasized about it. And that's exactly what happened yesterday. I asked my friends at work for a dessert take-out when they went out for lunch and I chose strawberry shortcake because of its good reviews. And it was good but it kinda fell short when I tasted the biscuit. I had to make it myself to really satisfy my craving. I even brought a dozen to work and it was well received. I saw empty paper plates and that really made me happy. Sift together flour, baking powder, sugar and salt or pulse to mix in a food processor. Cut butter into small pieces and add to the flour mixture. Pulse some more until it resembles coarse meal with small chunks of butter left in the mixture. In lieu of a food processor, just sift the flour together and using a fork or pastry cutter just cut in the butter. Transfer into a bowl if using a food processor. Make a well in the center and pour the milk. Stir with a fork till the dough is moist. Let stand for a minute or two before transferring to a lightly floured surface. Knead 2-3 times until it becomes less sticky. Gently pat and shape the dough into a rectangle and cut biscuits using a floured round cutter. 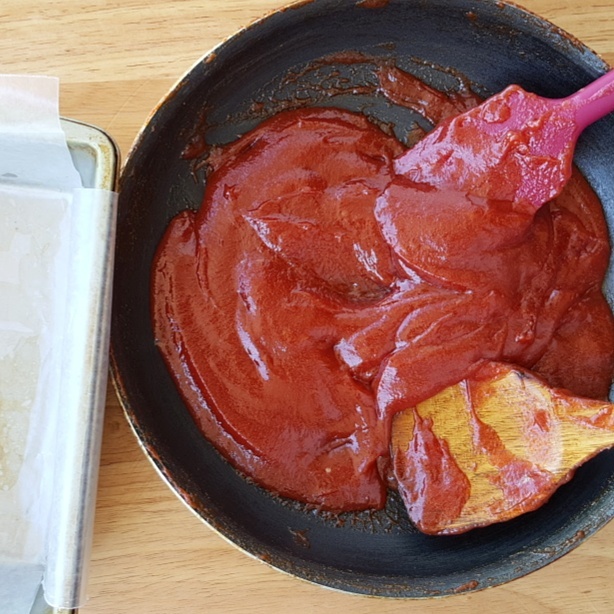 Arrange into a greased parchment or aluminum foil lined baking sheet. Brush the tops of the biscuits with milk and bake for 20 minutes at 400 degrees F. You can test the doneness with a toothpick inserted in each biscuit- they’re done if toothpick comes out clean. Brush the tops with honey butter (2 tbsp honey + 1 stick unsalted butter) right after taking the biscuits out of the oven. Split each biscuit horizontally with a serrated knife. Top with strawberries then whipped cream. Replace the top and scoop a tablespoon of whipped cream and top with more strawberry slices. Garnish with mint leaves and serve.